In 1991, there was only one Walmart in Mexico, but by 2012, Walmart was Mexico’s largest retailer with 2,000 locations. This week, Latino USA looks into how the North American Free Trade Agreement (NAFTA) impacted public health in Mexico. Maria Hinojosa speaks with Alyshia Gálvez, anthropologist, immigration scholar, and author of the book “Eating Nafta: Trade, Food Policies, and the Destruction of Mexico.” Dr. Gálvez explains what made Mexican cuisine so healthy prior to NAFTA and why Mexicans who used to purchase their food at a local market, now are much more likely to buy processed foods. 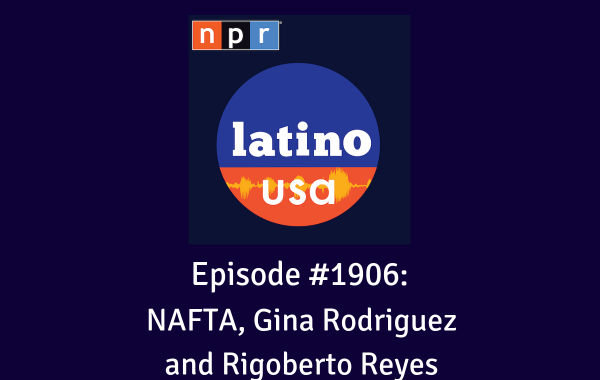 Also, an interview with actress Gina Rodriguez, and lowrider and activist Rigoberto ‘Rigo’ Reyes.